Life has never been more hectic. With a variety of schedules to negotiate—whether it’s just your work and personal schedules or a whole family’s schedule—sometimes you’re meeting yourself coming and going. We consistently hear that Americans leave vacation days on the table every year, meaning we’re so busy we don’t use the time we’re earning for rest and regeneration. “Busy” has become a status symbol we use to prove to ourselves and others that we’re accomplishing at a high-functioning level. “Relax” has become a dirty word. Along with a schedule that never stops, there are certain things to live a quality life that never change. We need a good night’s sleep. We need to exercise, every day if we’re following the newest medical advice. We need to drink lots of water. And we always need to eat healthy, and oftentimes, we’re responsible for seeing that our family does too. Eating out and takeout is fast, but eating that way consistently gets expensive and usually degenerates to eating foods that aren’t healthy. Preparing food on the weekend so you have easy meals the rest of the week is an option … if you have the time to do it. And we’ve all read about how many fresh veggies get tossed because no one has time to prepare them in appetizing ways before they spoil. So, how can you eat healthy when you don’t have time to prepare meals, much less shop for them? 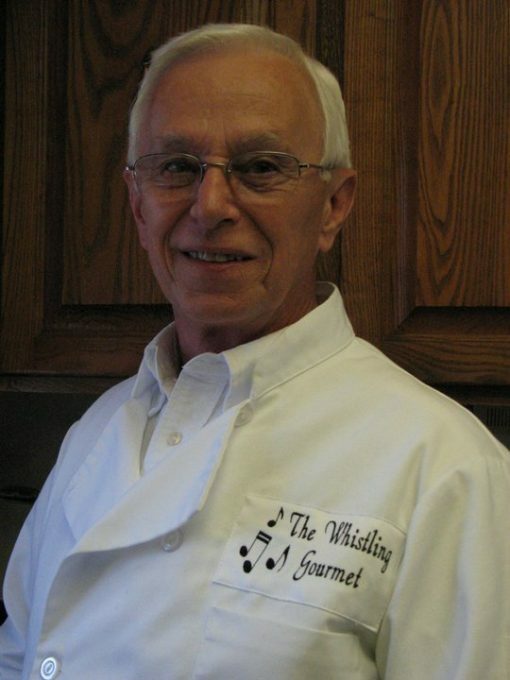 Meet Ken Eakins, Personal Chef. After years of cooking family meals because his work schedule was more flexible, Ken decided to parlay his creativity with food into a part-time business that allowed flexibility. He signed on with the Personal Chef Association, earned his certification and opened his business in 2010.